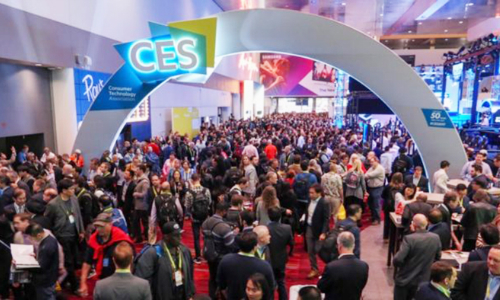 CES 2019 consumed more than two million square feet of exhibition space, with more than 4,500 exhibiting companies. Imperial Capital Analyst Saliq Khan was among the mass of humanity — totaling more than 180,000 attendees — to journey across the CES 2019 expanse in Las Vegas. 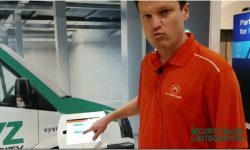 Khan summarized his experience and thoughts in a report after walking much of the exhibit space in search of the latest developments in smart premises and DIY/point products. The exhibition consumed over two million square feet with more than 4,500 exhibiting companies. In a nutshell, Khan writes there was much buzz around 5G, artificial intelligence (AI), DIY and interoperability across platforms. No surprise but worth noting that disruption will continue to abound in the residential space, as evidenced by the continued emergence of new entrants. It may be ever more crowded, but the smart home market is still considered in its infancy. “Just when we thought there could not be any more companies in the DIY and smart premises space, a few more entered the race to own a piece of the home,” Khan writes. He witnessed “countless start-ups” that arrived at CES with smart cameras, sensors and other ancillary devices. Khan is not of the mind that DIY and professionally monitored security systems are mutually exclusive; it is his belief that both can coexist inside a smart premise. A consumer could conceivably purchase DIY wares and still have their systems professionally monitored. 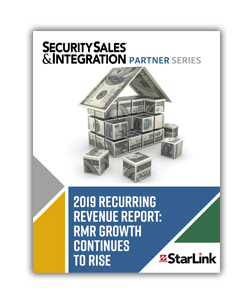 Indeed, security dealers are increasingly exploring their own DIY offering and combining it with a suite of monitoring services. Khan says many companies are hitting the market with connected wares that come embedded with Amazon Alexa or Google Assistant. 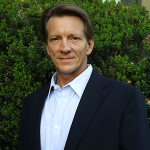 And while voice control and digital assistants provide depth in functionality, he explains the need remains for smart switches and other point products to make a residence a true smart home. Khan can see the day when voice-enabled devices become the catalyst for improved adoption across the broader smart home market. However, don’t lose sight of the fact that privacy concerns could hamper adoption by some consumers. Khan cites the recent news from The Intercept about how Amazon Ring’s employees were given access to customer’s live camera feeds. 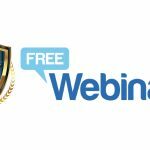 “While this may be a one-off event that could have happened to any company, we believe this underscores the importance of privacy and security practices,” he writes. Here’s another adoption-influencing factor to watch going forward: Interoperability. 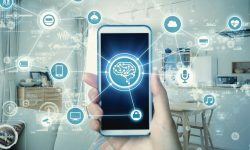 More and more consumers are going to expect their smart devices, including security cameras and light bulbs, to work in unison right out of the box. Many of the products Khan demoed at CES 2019 include the ability to integrate with Amazon Alexa and Google Home, a feature not seen just three years ago, he says. In his report, Khan, provided highlights from select companies covered by Imperial Capital that exhibited at CES. Following are abridged versions of his takeaways. 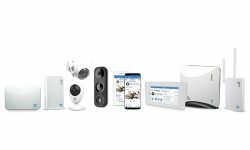 ADT unveiled new smart home command and control security system, available for home installation during 1Q19. 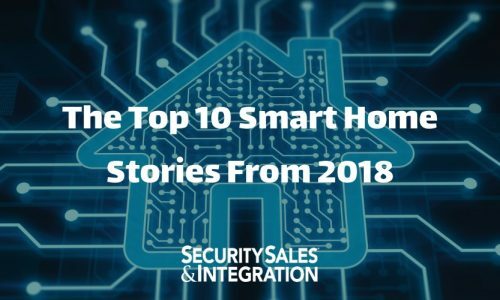 The company also showcased an array of related products, including a video doorbell, ADT Go (a personal safety mobile app), and voice integrations with Amazon’s Alexa and Google Voice Assistant. ADT appears to be becoming increasingly technologically sophisticated and enhancing the offerings for its core residential customers. Although there have been some concerns surrounding the outlook of traditional alarm monitoring companies, we believe ADT’s residential and commercial businesses and its long-standing reputation as a trusted security brand are well positioned to capitalize on the growing demand for secure and connected solutions. 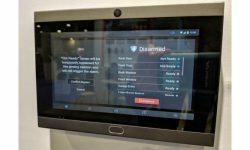 Allegion and Alarm.com, in conjunction with Wi-Charge, a provider of long-range wireless power solution, showcased a prototype evolution of the Schlage smart lock that can be wirelessly charged. Wi-Charge’s offering addresses the concern around consistent power delivery across the smart home. Both Allegion and Alarm.com have continually improved their IT IQ and emerged as leaders in the security industry by understanding, implementing and investing in next-gen premises control technologies. As it moves away from being just a smart home camera provider and toward being a provider of more complete security systems, Arlo Technologies recently introduced the Arlo Security System. The system features an all-in-one multipurpose sensor for windows, doors, motion, smoke alarm, carbon monoxide alarm and water leak detection. 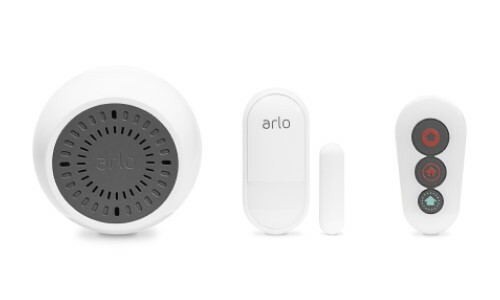 We believe this is a great new addition to the Arlo lineup as it encompasses several key functions into one sensor, rather than requiring the user to purchase numerous different single-point products for the residential or small and medium-sized business (SMB). FLIR Systems introduced two thermal imaging cameras for the automotive industry: 1) second generation FLIR ADK, a thermal vision development kit for the development of self-driving cars, and 2) the FLIR TG275, a handheld diagnostic thermal camera. Over the last two years, we have witnessed FLIR grow its appetite for embedding its thermal recognition capabilities inside an array of commercial products. When installed in a third party system, FLIR’s thermal imaging solution further improves the product that may not be able to detect objects otherwise. 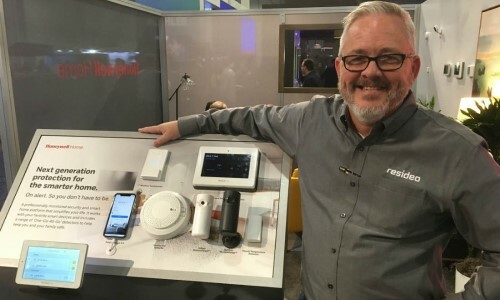 Resideo introduced the new T9 and T10 Pro smart thermostats which feature a wireless sensor that can extend the reach of the thermostat and deliver the desired temperature to where the home owner currently is. We believe this further enhances Resideo’s IT-IQ and offers a richer and more competitive product than the likes of Google’s Nest. However, we continue to evaluate the medium-to-long-term impact of the company’s Indemnification and Reimbursement Agreement with Honeywell. Although it may be difficult to reverse or undo this agreement, we wonder if there is the possibility for Resideo to recognize the expenses under this agreement as tax deductible, which Resideo currently cannot. Although consumers have known Universal Electronics a provider of television remote controls, over the years the company has been increasing its understanding of the smart home industry. During CES, Universal introduced pre-integrated channel specific kits to address the consumer’s needs. These kits will be powered by Nevo Butler, Universal’s white label smart home hub and digital assistant. In addition, the kits will include window and door sensors, motion sensors, connected thermostat, and occupancy sensors. We believe this is an interesting approach by Universal to deepen its share of the consumers’ wallet and own a larger percentage of the smart home ecosystem.